Nonprofit Boston Harbor Now is gearing up to pitch state officials about a pair of ferry routes — one linking inner harbor docks including the Seaport’s Fan Pier. You can’t blame commuters for skipping the new ferry between North Station and the Seaport — not when it costs $12, plus a $1 ticketing fee, to travel 1.5 miles. But $5 for a one-way ticket, fee included? Now we’re talking. The Seaport companies that fund the ferry — it’s essentially a service for their employees — unveiled the more reasonable price for the public on Tuesday, taking effect April 1. 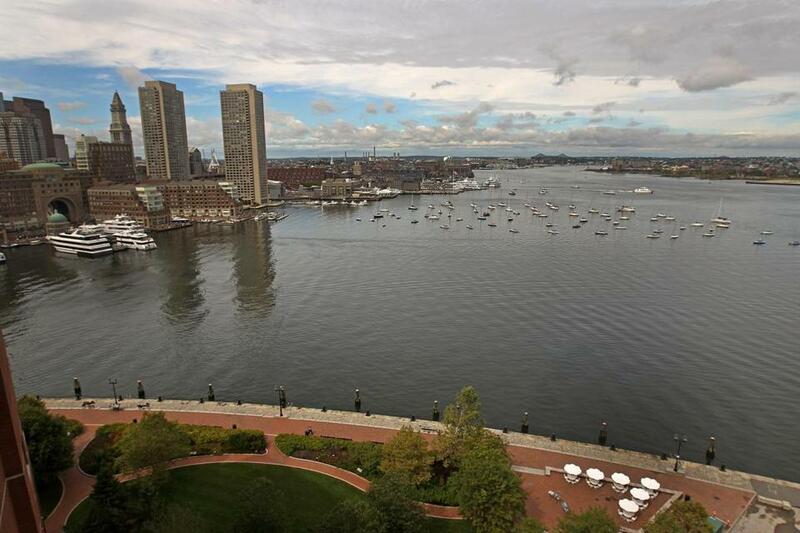 Meanwhile, nonprofit Boston Harbor Now is gearing up to pitch state officials on Thursday about two ferry routes: one linking several inner harbor docks, including Fan Pier in the Seaport, and the other making a beeline for Quincy. All this is good news for the traffic-congested Seaport. The South Boston Waterfront has been served by just a single commuter boat, one that visits only a few times a day. The additional service could bring hundreds of additional commuters daily over water, instead of by car or bus. Let’s talk about that North Station ferry first. The idea grew out of an effort championed by the Massachusetts Convention Center Authority to pare back the parade of corporate shuttle buses that carry commuters between North Station and their Seaport offices. The MCCA acted as a go-between, bringing various employers and landlords together, to share bus services. The group — led by developer Fallon Co., biotech Vertex Pharmaceuticals, and accounting giant PwC — is trying ferry service instead this year, in part to offer a more reliable itinerary to workers. A dozen buses, at a cost of $1.9 million last year, were nixed in favor of two boats, for $2.3 million this year. Eight companies contribute, they say, and no taxpayer dollars are needed. The boats leave Lovejoy Wharf and Fan Pier every 20 minutes, like clockwork, during rush hour. The companies opened the boats to commuters who didn’t work for them, but at $13 for one peak-direction trip. They wanted to make sure there was enough room for their employees first. Few people signed up at that steep price. The early numbers are in, and the employers can relax. Their workers’ seats aren’t going to be taken. These boats accommodate nearly 100 riders, but carry 50 to 75 on a typical trip. So now the companies are making it easier for others to join the fun. They will also reserve at least 15 seats per trip for the public, compared with five today. The corporate sponsors want more companies on board. Maybe that means a third boat, or another Seaport dock. The Commonwealth Pier seems like an obvious choice for the latter, with Fidelity Investments about to invest in a massive makeover of its World Trade Center complex. There could be some lessons learned as Boston Harbor Now pushes for more ferry service. The group will float two concepts at the state’s Water Transportation Advisory Council meeting on Thursday: expanding the Charlestown-Long Wharf route to include East Boston and the Seaport, and a Quincy-to-downtown boat that could also stop at the JFK Library. Ferry service into Boston might seem like a bit of a hodgepodge today. MBTA ferries go to Hingham, Hull, and Charlestown. Winthrop shares a boat with Quincy. Salem has its own boat, and plans to add a second. And Lynn officials want to revive their ferry route, after a loss of state subsidies sunk that city’s service. The water transportation advisory council offers an important venue to help ensure the waterfront communities row in the same direction. But more creative investments from the private sector may be necessary to unlock the ocean’s true potential as a blue highway into town.